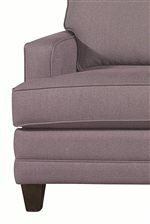 Sock arms and bun wood legs create the transitional style of this customizable queen sleeper. 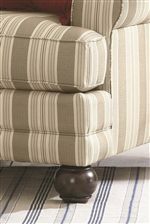 Infused with a soft look and feel, this item also features coil flex suspension and plush upholstery for exceptional comfort you can depend on for years to come. 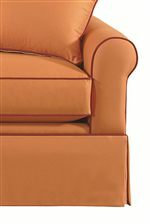 Fit with a pull-out bed frame and mattress, this sleeper provides comfort at all hours of the day and night. 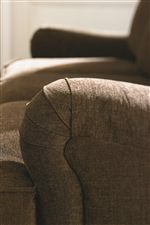 The Custom Upholstery - Loft Customizable Queen Sleeper with Sock Arms and Bun Feet by Bassett at AHFA in the area. Product availability may vary. Contact us for the most current availability on this product.